Explanation: Aloha and Season's greetings! On December 22nd, at 01:14 Universal Time (December 21, 3:14pm Hawaii-Aleutian Standard Time), the Sun reaches its southernmost point in planet Earth's sky marking the final season change for the year 2002. 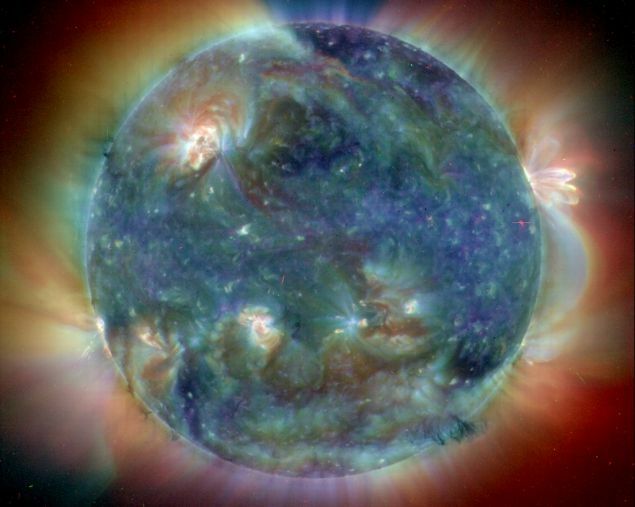 In celebration, consider this delightfully detailed, brightly colored image of the active Sun. 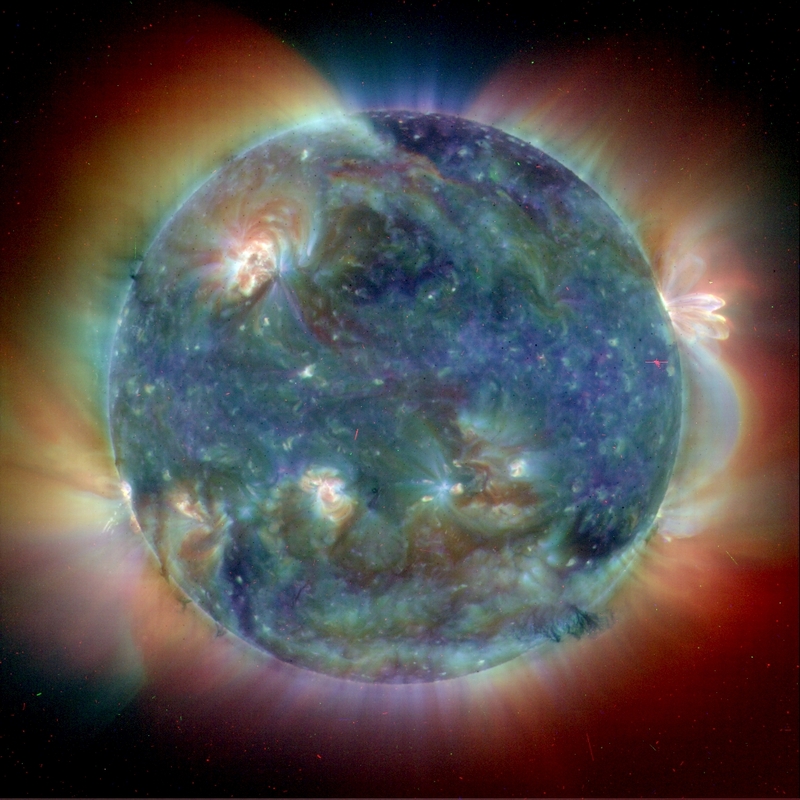 From the EIT instrument onboard the space-based SOHO observatory, the tantalizing picture is a false-color composite of three images all made in extreme ultraviolet light. Each individual image highlights a different temperature regime in the upper solar atmosphere and was assigned a specific color; red at 2 million, green at 1.5 million, and blue at 1 million degrees C. The combined image shows bright active regions strewn across the solar disk, which would otherwise appear as dark groups of sunspots in visible light images, along with some magnificent plasma loops and an immense prominence at the righthand solar limb.